Starting a homestead from scratch isn’t easy, but it can be done. How did we find our property? What steps did we take to establish our farm? Starting a homestead from scratch meant we had to build it ourselves. When we started our homestead, we were pretty broke, but we still managed to do something every day to get us to where we are today. We started homesteading because we wanted to produce more than we consume, live a healthier life, and feel the freedom our lifestyle affords us. If you’re dreaming of starting a homestead from scratch but aren’t sure where to begin, then listen up, because here’s some of my top tips. Despite some of the rumors you hear out there, you don’t need a lot of land to start a homestead. In fact, I know people who homestead in their apartments. I think it does a disservice to our lifestyle to place artificial limits on what a homestead is; if you only have ¼ acre of property, then homestead away on that ¼ acre. But I’m not going to get into a discussion of what homesteading is. If you’re here reading this article, you likely have your own set of ideas about what comprises a homestead. Instead, let’s look at how to make the most of what you do have and the history of our homestead. We have 10 acres, and yes, we started our homestead from scratch. Once upon a time, our farm was homesteaded by settlers who did so out of necessity. There was once what we modern people call an “off grid cabin” in the woods on our property, which later was abandoned for the house we live in now. The cabin no longer exists. 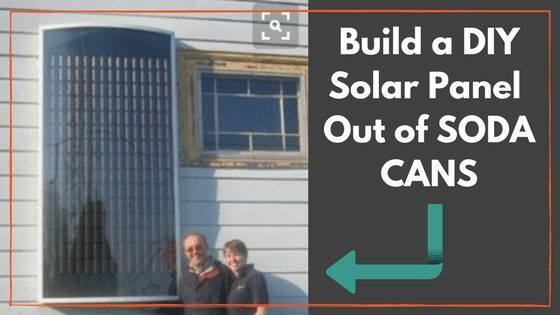 (“Off grid cabins” are a modern invention; when there was one on our property, it was a dirt floor shack that the family couldn’t immediately afford to replace). The people who owned our house settled here in the 19th century. The same family owned it until the elderly parents died and their late-in-life daughter sold the property. Meanwhile, another child, who is now in his late 70s, has told us over time the story of our homestead. My husband made a call to a family friend who happened to have some land for sale. We bought it at about $8,000 an acre. In a lot of areas of the country, the cost of land is really, really high. But there are places out there still where you can buy land for very little or even get free land. I’ve seen land for sale that people will even trade for trucks. You just have to look. So, we had a farm. But we didn’t have useful barns, animals, or even a place to grow our food because as the old owners aged, the farm fell into disrepair and modern conveniences became the name of the game. We first started with our chickens. From them, we had meat and eggs. We also established a garden, but our first year, it produced little. We had a lot of tomatoes, some lettuce, a few peas, and that was pretty much it. It took time to get into the rhythm of the seasons, to decide what was worth growing (what we would use, like paste tomatoes), and what I was actually skilled at growing (like garlic). Beets and carrots still elude me. We then started adding green houses were we could protect a wheat crop from loose animals and extend our growing seasons. When the right opportunity came along, I got some goats for milk and cheese. Then the following year, rabbits seemed like a good addition. The point is that we took it step by step, adding more to our homestead when the time was right. We even had to redo both barns on the farm to make them useful for us. We did this largely for free, reusing material we already had on the farm. For example, one barn had siding on it, but needed to be redone so we could use it to store farm equipment. We were able to source telephone poles for free, which we used to support the barn as we refurbished it. The other barn needed siding to make it habitable for our horses. Guess where we found the siding for it? If you’re starting a homestead with no money, look at the resources you DO have, and make the most of them. Don’t have money to build a barn for cows? Try goats. Can’t keep large livestock? Keep rabbits in your garage. Can’t keep chickens? What about quail? There’s usually an alternative that will keep you moving forward on your journey. Now, the thing you need to remember when starting a homestead from scratch is that this isn’t an overnight thing. It takes years with annual and seasonal goals to actually get to a point where your homestead will start to support you. Sorry if that bursts some bubbles. But it can be done, and we’re living proof. Once you master a part of homesteading, even if it’s a small skill such as baking bread, you gain confidence to move onto the next skill. Something else to consider is that homesteading isn’t all about keeping cows and milking the goats every day. There’s a popular thought that homesteading is about stuff like that, and it is, but there’s another aspect to it. What about what goes on inside the farm house? What about the cooking? The natural living? Bottom line, if you’re someone who lives in an apartment or small property, there’s not much stopping you from engaging in this aspect of the homestead life. Cheese can be made from store bought milk, and I’m friends with cheese enthusiasts who do just that. For fresh veggies, if you truly have no land, you can join a CSA or find someone local to you who sells or gives away fresh produce. You can also grow microgreens. Even though we have 10 acres, I still grow microgreens because they’re easy and ready to harvest quickly. Similarly, you can learn to cook from scratch. Six months ago, I couldn’t make pasta. I took an online course, now I can make homemade egg pasta from scratch, and I no longer need to go to the store to get it. So, starting a homestead from scratch doesn’t necessarily have to be all encompassing or require you to move to a new home. 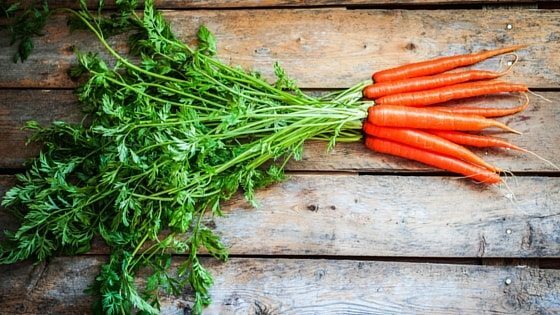 The cost of starting a homestead doesn’t even have to be that much. It could be as little as $20 to learn to make your own bread. The bottom line is that homesteading is not a journey that is mastered in one day, and you’d be doing yourself a disservice to assume that without 100 acres and a plow you can’t homestead. 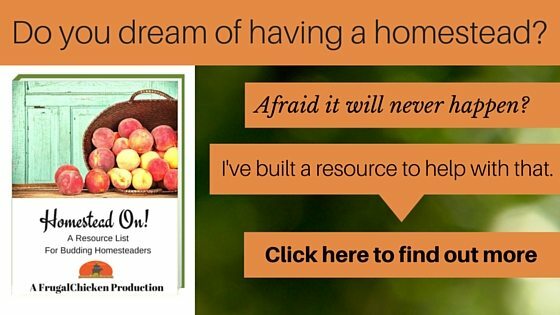 There’s more to starting a homestead from scratch than working large tracts of land. I’m better at raising livestock than I am raising dwarf fruit trees and vegetables, so while I garden and try to keep my goats from eating my orchard, I largely concentrate on raising animals for meat, dairy, and eggs. I’ve written in the past about how to start homesteading today by getting livestock for little or no money. Starting a homestead from scratch with livestock doesn’t need to be cost intensive. In fact, you don’t want to acquire too many animals at once. You’ll be overwhelmed. Ask me how I know. Along with animals comes a couple things. First, you need to understand their different anatomies and needs. A goat is not the same as a chicken which is not the same as a rabbit. How they eat and digest, how they give birth, and their medical needs and common illnesses are all different. And you need to know them all, and be prepared for them all, especially if you don’t have a lot of money to spend on vets or if you don’t have good, reliable veterinary services in your area. Second, you need to have good fences and an established place for them to live. Winging it won’t work, so if you don’t think you have the space, or don’t have the right fences for large livestock, stick with smaller animals that are easier to house and keep corralled. Nothing will kill your homestead dreams faster than an HOA that alters regulations because your animals keep getting loose. Your first couple years homesteading, you don’t want to go overboard on the livestock. Pick one or two, and go from there. Now, the other thing about livestock is, whether you like it or not, we live in a society that is largely uneducated about the source of their food. In a lot of areas, people have forgotten or are just plain uncomfortable with the fact that their meat actually comes from animals. So, if you’re starting a homestead from scratch, you need to take your local area into consideration. I’ve lived in areas where people regularly had cows removed from their farms by animal control simply because their neighbors didn’t understand that the cows were raised as food. Or, they decided that a cow nursing a calf was “too thin” even though local livestock experts disagreed. I’ve also seen people be indicted on animal abuse charges for butchering their own animals, and publicly humiliated for using established, humane (more humane than commercial), butchering techniques. You need to consider whether you want to deal with all that drama if you live in an area where this might happen. You can still homestead—you can buy meat from a local farmer, choose livestock that’s straight forward to butcher, or find an alternative solution. Or you can simply engage in other aspects of homesteading such as growing vegetables, grains, and fruit. In our area, none of this is an issue. There’s an established history of homesteading, and regulations protecting farmers. If you want to homestead, but think you can’t because you live in suburbia with little land, then you might want to consider rabbits, chickens, ducks, and quail. We cannot afford a cow. Sorry, but spending $500-$2,000 on a single animal is not happening right now when I can spend a fraction of that on goats, pigs, or rabbits that will produce food for our farm, eat less, and have fewer space requirements. We do most of our homesteading on just 2 acres. Yes, you heard that right. We have 10 acres, but we’re able to keep pigs, rabbits, goats, chickens, turkeys, quail, and ducks on just two acres. You need to remember that homesteading is about producing more than you consume and learning traditional skills, in whatever form that takes. If you’re able to self-sufficiently feed your family with rabbits and chickens, then mazel tov. If you want a cow, then that works too. The point is that you’re doing what you can to take care of yourself. So, you don’t need a lot of land to start a homestead, and there’s no homestead police that will take away your membership card if you don’t have every species of livestock under the sun. Rabbits can easily be kept in a garage, out of sight. They’re quiet for the most part, are fairly inexpensive to raise, and breed quickly and easily. Chickens require 10 square feet of space in their coop, but quail only require 1 square foot. If neither interests you, then laying ducks are an option. As I’ve shown you, starting a homestead from scratch doesn’t necessarily require a lot of land, money, or even skills. There’s no rule book out there that requires you to split rails; trust me, if the homesteaders that settled our farm had access to our modern amenities, I know for a fact (because they told me) they would have taken advantage of them. Starting a homestead from scratch is simply about mindset. As I said earlier, there’s a bucolic notion that a valid “real” homestead is about working the land to produce everything under the sun for yourself. I’ve learned this is a standard set largely by voyeurs who don’t actually do it themselves. There’s a reason why 100 years ago, community was the pillar of our society and the way the homesteaders of old survived. One person cannot produce it all. Really, it’s about producing as much for yourself as possible regardless of your location. It’s ridiculous in our modern society to assume that the crux of homesteading is the ability to acquire land. It’s not, and land is a scarce resource. Starting a homestead is about adding skills to your life so you become a producer instead of a consumer. It can be as simple joining a CSA (and supporting another homesteader) and preserving as much food as you can and cooking from scratch. Later on, you might add some goats for dairy. Or you might choose to find a dairy near you. It’s about getting it into your head that you’ll start producing for yourself, and taking the steps to start actually doing that (not dreaming about it). That’s when the freedom begins, because you begin acquiring skills that you can support yourself with. There’s nothing special about us. But we did it, and so can you. 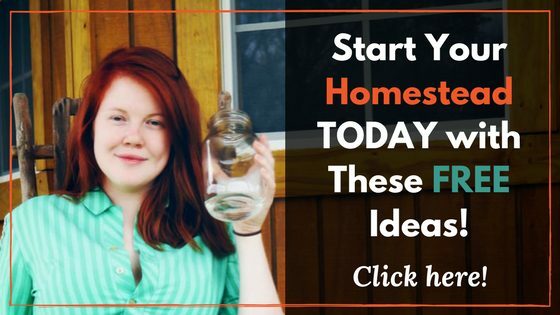 Do you think you’ll try starting a homestead from scratch? Why or why not? Leave a comment below! Starting a homestead from scratch isn’t easy, but it can be done. You don’t even need a lot of money. Here's our story, which you can replicate! Thanks, that’s what I was aiming for. We bought 7 acres a few years ago and are in the process of building our house. I have started with chickens for meat and eggs. Next year we will get a goat and are thi king about a beef cow. I also ha e started a small garden but plan on a much bigger on next year. It’s a start and I have huge dreams for the future. I come from a farming background! This article is very informative! I live in a 1930s bungalow with quite a large garden! Looking to grow more home produce! Excellent article… right now I’m doing gardens and chickens but hope to get a scrap of land at some point and and go big on the garden and maybe maybe maybe be able to establish a small creamery with goats.. if nothing else maybe a roadside stand with fresh veggies, cheese, eggs, milk, bird houses from pallet wood, etc… just a bit of diversity to the income stream and I can live really really cheap… Good read – thanks! Very helpful information. We were just starting our homestead in the south when we had to relocate to the frozen tundra of Alaska for a government contract. We will never give up on our homesteading dreams but for now we are doing little bits from our tiny apartment. We have a patio garden and I am learning to make several things from scratch in the food department and learning to make my own soaps and oils. It is reassuring to see posts like this. Thanks. I’m so glad I found your blog. I find it encouraging. I have a half a acre & already upper age with a major health problem. However I know I can still do some things & learn to do other things a different way. Thank you for all the idea’s. Good, solid advice. Thanks for sharing. I currently ‘homestead’ in a Florida subdivision home on 1/8 acre with one of the strictest HOA’s ever known to man. So, you can say I started from scratch, too. 🙂 I have such tight restrictions here that I can do very little outside, but I have it going on inside! Outside I have a lemon tree that produces abundantly, which I use to make pies, juice, lemon pepper, cleaners, etc. I’m trying Shitake mushrooms in logs and I grow citronella, lemongrass, parsley and chives year round. That’s the only plants I have because the entire lot is covered with shade trees. I literally chase sunlight in the winter by moving the potted plants around. Inside, I have a ridiculously successful worm compost bin I can barely keep up with. I make my own: laundry soap, bath soap, bread crumbs, household cleaners, candles, gravy, wrapping paper, gifts, party favors, holiday decorations, pest repellent, compost tea and more. I will can almost anything in season from the farmers market – I adore canning and my family adores my strawberry jam. Junk mail (minus the plastic windows in envelopes and glossy paper) goes through the shredder and into the worm bin. I save anything and everything that can be reused within reason. My family of three puts out less than one full bag of trash and 1 recycling bin per week. When the time is right to be able to expand onto enough land to have a real garden and a few animals, I’ll have a jumpstart on my homesteading education. I work a 9-5 job, so anyone working can do it too – you just have to bite off tasks in sizes you can chew. Don’t bring home 40 pounds of tomatoes for canning at one time or try to keep up with more than 3 or 4 edible potted plants to start. If you fail at some things you might throw in the towel. It is true – it’s work – but it can be done if you really want to do it. I agree wholeheartedly. Did you build a house on the land too? Or was it already there? Hi Katie – the house was here, but we’re having to redo the interior and some of the exterior walls, and a lot of the flooring. Great read, My family and I are about to embark on this same journey, we are blessed to be able to move next month onto 10 acres and will slowly begin creating our homestead. I will be back to learn and green s much info as I can. Love your posts. We started a homestead 5years ago on a run down property in the county in Missouri and have loved it. But unfortunately this week we found out the company that we have been buying it from is a scam and now I am desperately looking for even 1 acre to buy to start all over in northern Missouri. Moving from Missouri isn’t a option sense my son is a senior and I won’t mess up his future. Any ideas on how to find an acre for sale or two? I have to make payments and like I said i’m desperate. I really enjoyed your article! We’re working on 40 acres. Received free 7 white guinea chickens then 6 free rabbits. Since the beginning I have dreamed of life off the grid, we purchased our property a little over a year ago. Just purchased a tractor and we’re ready to get a garden going. Due to the fact of living in the National Forest we have wild animals like deer, bear, coyote, bobcat, etc. So far the bear broke into the chicken pen and stole a bag of scratch feed. Now we have a shed to shed for feed and hay. We want goats and I want at least one horse, one calf, and and one pig later. You have inspired me to keep working toward my goal! Thank you! One of the best, most realistic articles I’ve read. I live in the City, and land where I live is extremely expensive and restrictive; but’ still I dream of 2-3 acres of my own some day. In the meantime I grow a garden; can as much food as I can; bake my own bread; and have established a cottage craft for myself that will not only help me save money towards a small piece of land, but will continue to be a small source of income if I do. Hope eternal and baby steps; one way or another, I’ll get there. And what I love is that it’s real! Real people,real stories, real outcomes. I myself have started homesteading and it all started when I started asking questions so I had to find an answer eg; I wonder what animal a “Luffa” is? Now learning more everyday about everything and this has made me even more enthusiastic Thank you! Reading this just after coming inside from planting my seedlings that arrived this morning. My husband, 3 children, and I live on a small suburban lot in Virginia, but have been building up to our homestead for years. I learned to garden and can as a child, started baking my own bread as a college student more than 30 years ago, and started making my own pasta about 5 years ago. 4 years ago, backyard chickens became legal in our town, so we now have 6 hens. I am also a textile artist/weaver/knitter/spinner and have recently gotten my first angora rabbit. My husband and I recently bought 5.6 acres in a nearby County, nothing but trees at the moment. As we clear out the old pines and poplar, we are replacing them with fruit and nut trees. I found that we can order 1yr old seedlings from our state forestry department for about $3 each, buying by the 10pk. Because of the deer on our country property, we plant them in 5 gallon buckets for a couple of years until they are big enough the deer won’t easily kill them. That’s what I was doing this morning, with dogwood and pear seedlings. Last year, I got elderberry, the year before, sugar maple. Slowly but surely, we will have the place ready when my husband retires in 10 years. What a cool way to begin! I live by the motto, ‘work smarter, not harder’ and you are doing just that!! Good advice & encouragement for those who want to homestead & do not have much land. It does not take lots of land to grow lots of food! 18 years ago husband & I bought a little house in an older neighborhood on 7/10 of an acre. It took years to establish, but we now have a nice 50′ x 30′ garden in the front yard & a smaller one in the back yard. I can/freeze/dehydrate herbs & veggies & the garden produces almost everything we eat for the entire year. We also planted 3 grapevines along the side of the house & 13 fruit trees (peach, pear, 2 cherries & 8 apples & a plum). In addition this year we’re renting more space at a community garden. 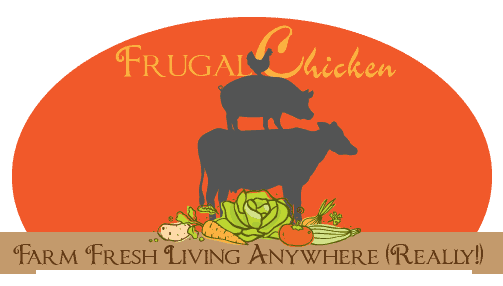 We have no animals but buy all our eggs & meat from a farmer at a local farmers’ market who raises animals organically. At the moment I’m trying to make a decision about investing in a small piece of land, not for us, but to have & leave to my children & grandchildren. I believe more than ever it will be important to know how to grow & preserve one’s own food. My husband and I are finally seriously looking into purchasing land. While we compost and have a tremendous garden where we are, and we can/dehydrate what we don’t use fresh (along with grabbing up items we don’t/can’t grow at a local farmers market), our dream is to get out of suburbia and begin raising some small livestock! Our biggest hurdle right now is finding affordable land with as few restrictions as possible. Which in Colorado, it turns out is not easy at all! We’ve recently even discovered one county where people are being kicked off their land! That situation is looking downright illegal! Any suggestions for possibilities in Colorado are welcome! As much as I love my home state, we’re beginning to look into a much more significant change…read: Montana! As always, thank you for sharing your wisdom! Reading your adventures and learning from you and your readers makes me feel like a part of a community, and I’m grateful for that! wow this is great. this is exactly what i am loking for. we got a very small lot here in north of France. so far ive got 4 hen and a rooster and my hen didnt sit on it so i try to make my DIY Incubator and hopefully hatch it in about a week. im not that worried about not sitting on it, bec i got 4 eggs a day which i gaveaway some to relatives. ive got some quails too which i bought 3euro each and start collecting eggs. i planted brocolli and leeks and when my in laws saw our garden, they gave me seedlings of cabbage, cheery tomatoes, leeks, squash, melon and eggplant. Got some pickles, red bell pepper, esy growing red radish, spinach and some corn which i get from the chicken feeds lol. i admire how you started your homestead and looking forward to mine. thank you very much it was very inspiring! keep it up. My husband and I just about 11.79 acres in march in Tennessee! We are able to start building 3 weeks ago!! The land has wild black berries already, they have been there for 30+ years so I’m excited to get some next month and make some jam!! I have planted 2 apple trees and 2 cherry trees. 3 tomato plants and 2 pepper plants ! My goal is to have chickens and 1 meat cow by next spring ! I do my own bread, biscuits and jams!